Teton Village offers quiet relaxation and provides easy access to some of the area's most popular attractions. The Jackson Hole Mountain Resort is located here, and just up the road is the south entrance to Grand Teton National Park. Families and groups of all sizes will enjoy the endless amount of activities happening in Teton Village, most all within walking distance in both the summer and winter seasons. Jackson Hole Mountain Resort is world renowned for its alpine skiing and snowboarding. World renowned for Rendezvous Mountain, Corbet's Couloir and more, Jackson Hole Mountain Resort boasts 2,500 acres of some of the best skiing in America, with groomed runs for beginners and off-piste skiing for experts. The "Big Red" Aerial Tram whisks you to the top of Rendezvous Mountain in just 12 minutes - gliding skyward 4,139 vertical feet where you'll find advanced runs and the world famous gourmet waffles in Corbet's Cabin. In addition to the tram, the resort also offers 2 gondolas and 11 chairlifts. 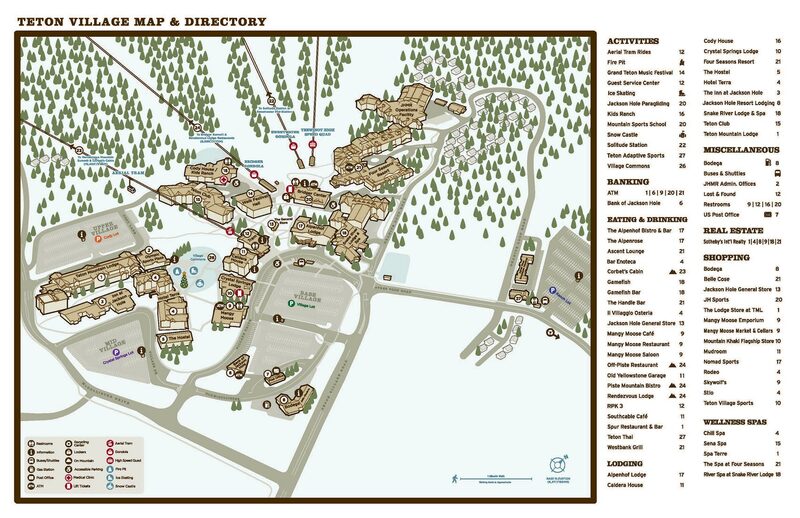 Base village at Jackson Hole Mountain Resort in Teton Village, Wyoming. 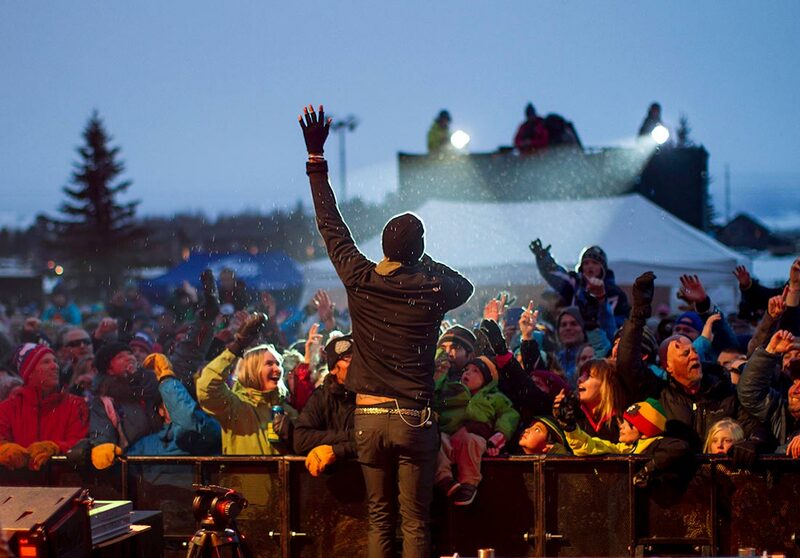 The famous Grand Teton Music Festival has been putting on musical events in the Walk Festival Hall in Teton Village for over fifty years. There is also Concert on the Commons, a free summer music series. 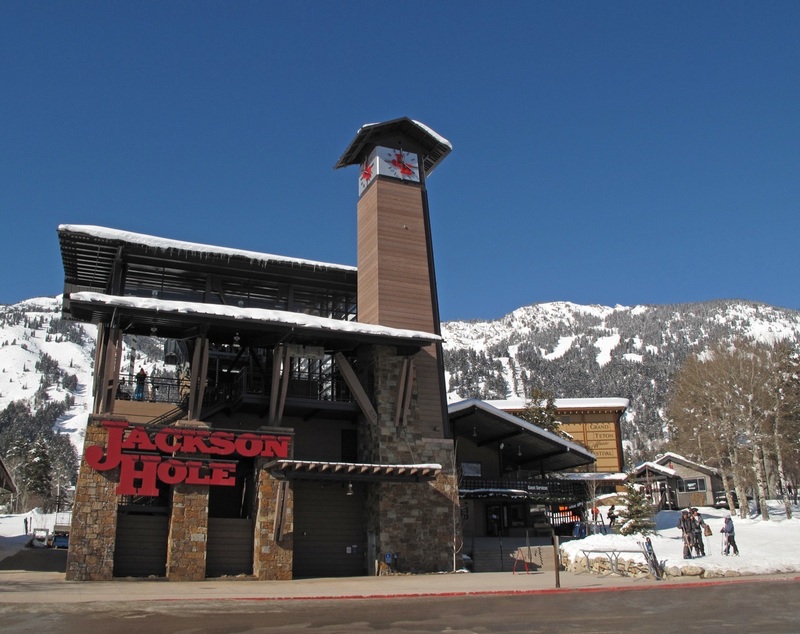 You can ride the Jackson Hole Aerial Tram to the top of Rendezvous Mountain for incredible views and hiking, or take a scenic Gondola ride and enjoy lunch, happy hour, or dinner at one of the restaurants at the top. The Village Commons features many events from art shows to live music throughout the summer. You’ll enjoy a variety of dining options ranging from pizza, to family dining, to haute cuisine. There are many full service spas offering treatments and massages after a long day on the trails. Teton Village is action packed by day, and entertaining into the night.